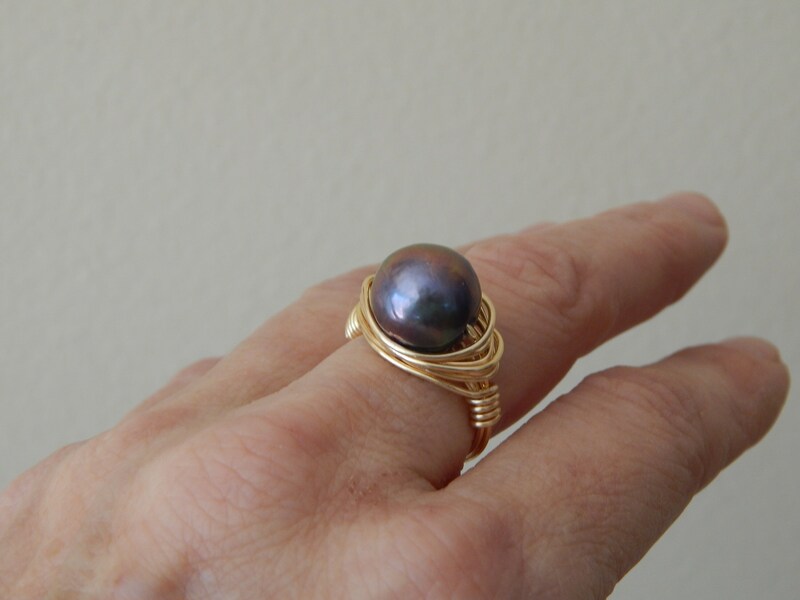 An black freshwater pearl is wrapped in your choice of either gold or silver wire. The neutral color can easily be worn with anything and will be your everyday go to piece. 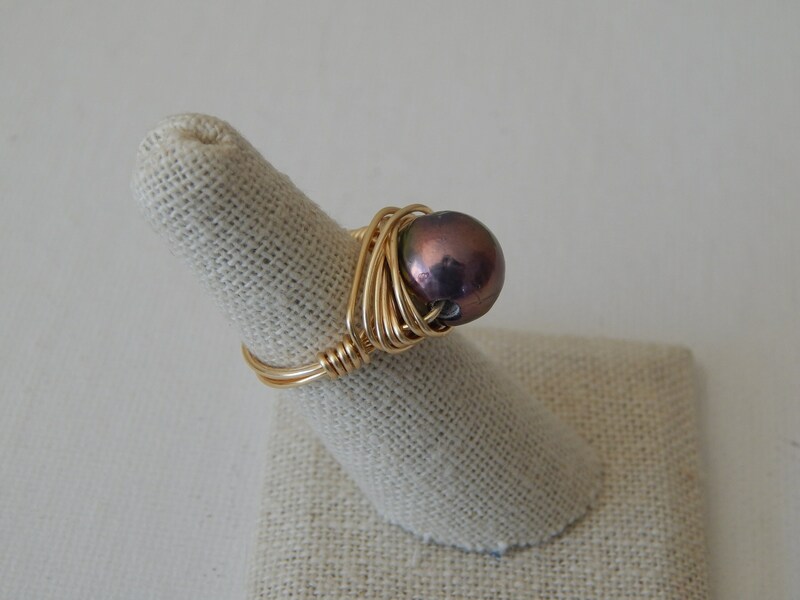 Makes a perfect bridesmaid gift or can be worn on your wedding day. Bead size is 11mm. 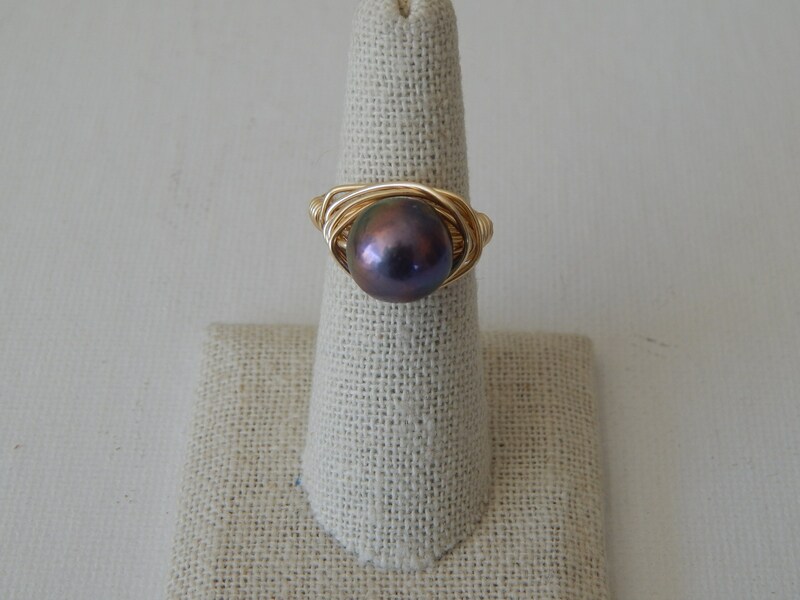 Pearl size and shape will vary with each ring.